Found this really good video explaining the HJ using examples from wellknown movies! Please let me know what You think, yes? MKE 2018, Week 22 – What would it mean? Considering the virtually unlimited ability of the subconscious to maintain the functions of the body, what do You think it would mean if we managed to stop interfering with this inherent intelligence we all possess? Lets say we could release all ‘negative’ emotions, those being all that doesn’t serve our continuous survival. Do You think we could prolong life and health? Maybe even indefinitely? Mind blowing thoughts and perspectives, right? What would it take for us to be able to let go of all fear, doubt and anxiety? Can these emotions be completely eliminated by entertaining thoughts of love, hope and faith? And, maybe more important, is there even an answer to these questions? Or may it be that we, merely by applying faith and consciously nurture the emotions of love, hope, joy, serenity, gratitude, inspiration, awe, pride, amusement, and interest, can simply raise our level of happiness to a point where the present moment is so stunning, valuable and enticing that nothing else really matters any more? Could that be the ‘secret’ of bliss? understanding of this law takes the foundation of Christianity out of the realm of superstition and credulity and places it upon the firm rock of scientific understanding. We know by now that using the three step process of idealization, visualization and manifestation works in line with the laws of the universe and here Haanel explains how and why this process only gets easier over time. Its apparent to everyone following this path for some length of time, that the manifestation of the idealized and visualized event is happening faster and with less effort the longer we’ve stayed on the path. This is explained by the elimination of bad habits, indulging in daydreaming or other non productive thoughts, and the development of good habits, keeping our ideal at the forefront of our minds. In my own experience, what I idealized and visualized 4-5 years ago was manifested last year, my dreams from last year are coming to fruition at this point in time and I expect that the ideals I hold in my mind today to manifest even faster! What are Your experiences? Please share Your thoughts! By now we thoroughly understand the importance of guarding our mind and our thoughts. The thoughts we think, make us become who we are and do the things someone like that does. So, once more, we need to go back to observing our thoughts, and use our conscious mind (the watchman at the gate) to entertain only thoughts that mold us into the person who naturally does what needs to be done for us to get what we want in the end. Back to the boxes again, right? Thoughts charged by emotion form beliefs that fuel actions/behaviors leading to results/consequences! Leave a comment below and let us know, ok? MKE 2018, Week 19 – Ending Duality? Through the millennia we humans have had a tendency to view every part of our world as incompatible contrasts, somehow functioning together in a strange kind of balance. Haanel here offers a view of one extreme being nothing but the absence of the other and that every area of the natural world is ruled by a single principle. What do You think about this view of the world? Is it comforting? Or confusing? Have You taken it into the SIT with You? Please leave a comment and let us know Your thoughts, yes? This week I just want to share something that is very close to my heart, please check out the video below and let me know what You think, ok? Most people have never accessed this information before but have been told conventional wisdom of the opposite – so prepare to get Your mind blown! Please welcome Debi back for another guest post! Well, what a surprise to find that instead of Week 18, this is Week 17hj! Awesome plan to go back and review. I have read Master Key weeks 9, 10, and 1 so far this week, and loved it. It truly does mean more now. I can see myself, at the end of this, re-reading everything on a consistent basis and learning more and more. Things are going well, I’ve released 9 pounds of holiday weight, and the new fence is almost finished. I am now coaching 18 people on their own healthy weight loss journeys. That is a joy, and getting great reports every day. My next “service” is to get onto paper a proper weekly routine – what will I concentrate most on, on each day of the week? My prior pattern lacked enough structure since I am my own boss, but now I am so looking forward to continuing to build that framework around which my business will grow exponentially. Reading the obituaries this week is sort of addicting — Well, just one more….I’m wondering if our next assignment will be to write our own obituary? Not a bad plan. Much love for all of you! We are very blessed to be here, in 2019, working on the Master Key Experience. 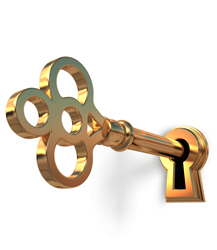 May you find the Master Key to your true Destiny! So, once we’re conscious of the power of thoughts, we’re also able to make use of it. And making use of it is the only way of keeping it. Again, we’re back to applied faith – unless we prove our faith in this power by actually put it to use in our lives, it becomes useless to us and we thereby rob the world of our gifts by neglect. Attention drives this power and goes hand in hand with interest, too many of us tend to engage in activities we do not have a genuine burn for and that take our attentions away from what we’re actually here to do. How important is it then not to educe our deepest interest, put our attention on it, and get the power of ‘the dynamic phase of mind’ working for us? What do You think? Do You keep Your attention and interest supporting each other? Where could You still make improvement? In Part XVI Haanel writes about how the quality of our thoughts is what affects the outcome and how we, once again, must maintain eternally vigilant to ensure the manifestation of that what we want. And only that what we want. Even if it cannot always be explained exactly how this works, we must keep our ideal in mind until it becomes a reality. Even facing apparent evidence to the opposite, or maybe especially then, as the applied faith that is shown by our determination in itself proves the seriousness of our desire. I know how I sometimes have doubted things to work out the way I want them to and how hard it can sometimes be to stay focused on the intended outcome instead of defaulting to creating methods. And I’m sure this has happened to You as well.